Dearest Readers, those who have seen my previous post about the evolution of the novel, know that I was an English Lit. major in college. But my love of books started much earlier, with my mother reading aloud to my brother and me at night, or when we took the seven hour drive to visit my grandparents. Sometimes her voice even grew too hoarse to continue, though we begged, and if there were such things as “books on tape” at the time, which could have spelled her, it wouldn’t have made a difference—we didn’t have a tape player in my parents’ economy Subarau sudan. Both the Moomintroll books (By Tove Jansson) and James Harriot’s series about his life as a vet in the Yorkshire dales hold a distinct place in my childhood memories. 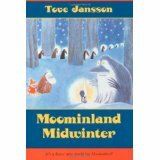 When thinking about them now, I actual have a sense that I lived for a short time in Moomin Valley, and on the Dales—I can see a picture of it in my mind and feel a sense of mood of both the place and the characters (when I read Moomin to my children now, it’s like a reunion at the family homestead). How did these authors create such a powerful sense of physical and emotional space with nothing more than black ink on white paper? I could give you the literary criticism answer, with an analysis of imagery, simile and metaphor, sentence structure, style, themes, character development, and voice. And it is all these things, of course. But to make any one of these individual criteria work well, I think the author must have an artistic mastery of language, so skillful you hardly know you’re reading, and so unexpected and magical you forget you’re sitting in the living room and instead believe you are in the land of the author’s imagination. Which brings us to a fellow Oregonian, Patricia A. McKillip (by the by, Oregon is pronounced Oregun, not Oree-GONE for those that live in the mid-west or east coast of the U.S, but with “Oregonian”, the second O is long as in “go”. Don’t mess it up! We’re fussy that way). The best way for me to explain Ms. McKillip’s skill with words and imagery is to quote a passage. 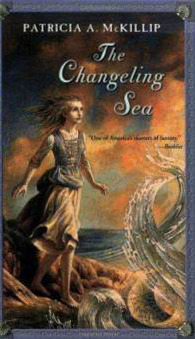 I just chose one of hundreds that I think are wonderful; this is from The Changeling Sea, a story of love, anger, and acceptance. A riderless horse galloped down the beach toward her. Against the dusky sky, she could not see its eyes, just its black, black head and body, like a piece of polished night. There was a long strand of kelp caught on one hoof. It passed her; the tide ran in and out of its path. She made a wordless sound. And then she began to run, not knowing exactly why or where. The darkening world seemed of only two colors; the deep grey of sky and stone and water, and the misty white of foam and gulls’ wings. I’m there on the beach with Peri, the main character. I can smell the salt, feel the sudden panic in the air as she sees her lover’s horse with no rider, hear the crash of the waves and the hoof-beats. The whole book does that for me, so that even when I’ve finished it, I lay dreaming and musing for days, thinking of Peri and her life on the shore. I find scenes popping unexpectedly into my head, and then feel a sudden regret because I’ve finished the book, and so won’t be visiting the village on the ocean again any time soon. I have to be careful; I could easily be sucked away by this kind of writing, and never remember that I’ve got my own craft to work on. What author does this for you? Why do you think they are successful in evoking your emotions and senses?